Get set, ready, go! Run through the inflatable obstacle course as fast as you can while maneuvering through obstacles! It does not matter whether you finish first. What matters is your senses are heightened and you are having fun! 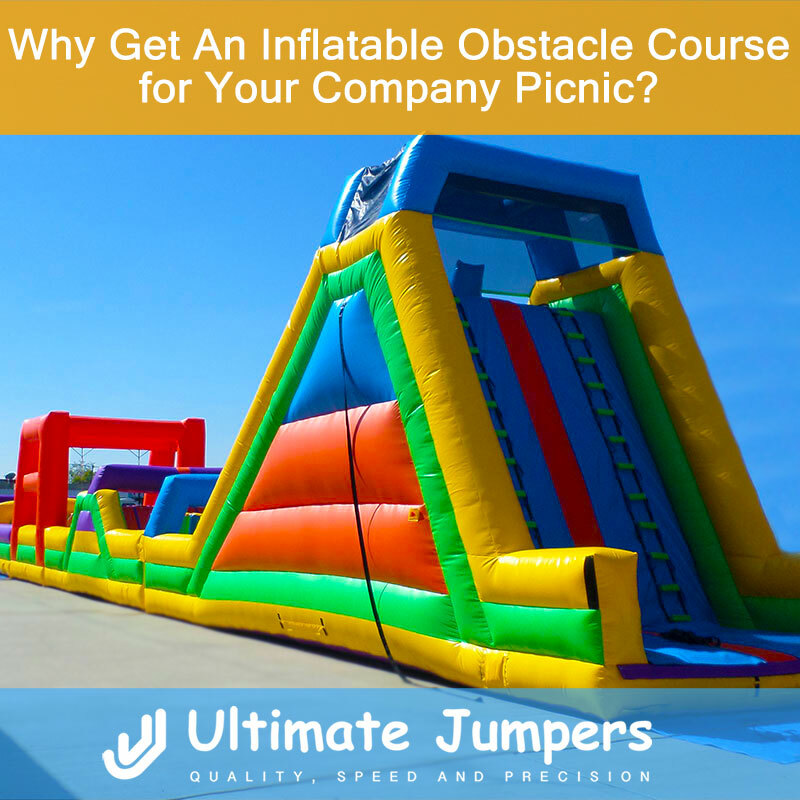 Test the agility levels of you and your coworkers with a fun inflatable obstacle course for your next company picnic. There are different types of obstacle courses that present different obstacles. For example, UltimateJumpers.com is an inflatable obstacle course manufacturer that carries obstacle courses containing rock climbing, pop ups, pillars, crawl throughs, jump throughs, and slides. Aside from being a fun and challenging activity, obstacle courses are an excellent workout! Maneuver through the pillars, climb the wall, and slide down to victory. In real life, we face obstacles all the time. In our professions, reaching our career goals can have quite a few obstacles including competition and office politics. Life is all about overcoming these obstacles, while enjoying the process. Although you may not get a prize in the end, the process is fulfilling and rewarding. An inflatable obstacle course is the perfect way to encourage competitive spirit with your team members. In fact, many employees who go unnoticed at the work place may find they are the most successful with an inflatable obstacle course, boosting their confidence. In addition, an inflatable obstacle course is an excellent way to break the daily drudgery of the workplace. Team members will be able to have fun together without worrying about job duties. An amicable atmosphere with an obstacle course is exactly what coworkers need to support each other on the job, and help each other reach their goals in the workplace!